I came to Montreal 8 months ago and I can say it was the best thing I ever did. One of the reasons that made me stay so long was certainly the school! The teachers and all the staff welcomed me and always made me feel good. Here I had the opportunity to meet people from all over the world and principally, people who I consider great friends. This bilingual city is ideal for those who want to improve English and French and be always in touch with different cultures. I totally recommend it! Montreal is an amazing city. Definitely I will never forget this exchange and I hope to return again. 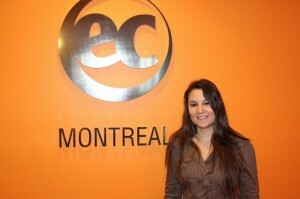 Thanks EC Montreal for all the support and patience!